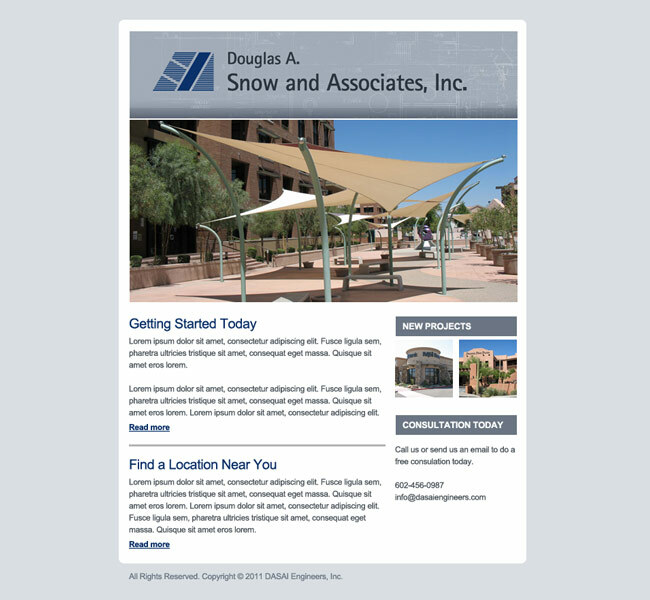 A structural engineering company in Scottsdale, Arizona, this company wanted a clean and professional email design that they could use to email current and past clients with updates and announcements. We took cues from their website and incorporated the header texture and color palette in the email design. The professional look that they established on their website is now present with each email newsletter they send as well.